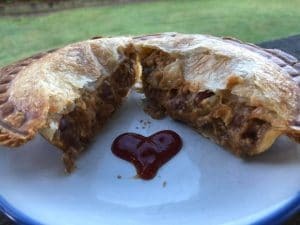 Everyone has been a little pie maker crazy lately in the Skinnymixers Facebook Group, since the release of the Aussie Meat Pie Filling. 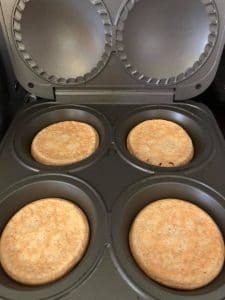 Yes, we are a Healthy Thermomix Recipe Group but there is no reason we can’t enjoy the occasional pie or the convenience of using the pie maker for other Thermomix Recipes. This is a collection of the tips and information from the Skinnymixers Community. If you have any to add, please feel free to comment below. I personally have a Sunbeam Traditional Pie Maker which was about $65 (on special) or there is also a deep dish Kogan Pie Maker that Sarah uses. The Sunbeam fits 1/2 cup filling per pie. These are some of the bigger ones on the market. If you have a cheaper Kmart version they are a bit smaller and around $29. A great tip when cutting store bought pastry, is to slightly wet the edges and join your pastry sheets to make one giant pastry sheet. Also using a cooled pie filling mix will work best. For a nice golden top, some Skinnies like to brush the tops of their pies with milk. When making pies, you typically use shortcrust pastry on the bottom and puff pastry on the top. Basically any delicious Skinnymixers leftovers! One of the easiest ways to cook Low Carb Burger Buns would have to be in the Pie Maker! Simply switch it on and coat the bottom of each pie area as thinly and evenly as you can with the Low Carb Burger Buns mixture. Then let it cook, checking on it every 5 minutes or so. Flip when golden. The time they take to cook will vary on your pie maker. I like to leave them and go vacuum the floors or something and keep walking past to check on them. You can put the lid down, if you think it helps retain the heat. Just keep cooking until cooked through. I find it is very difficult to burn these in the pie maker, so they don’t require too much attention. 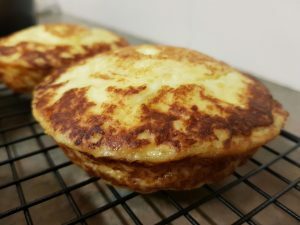 How great do these Tortilla de Patatas look made in the pie maker! Do you struggle with the perfect flip for the Tortilla de Patatas from the cookbook ‘A Little Taste of Spain’? Not only is the pie maker non-stick, it will cook gently and help the tortilla set – making it easier to flip. Take advantage of the single portions and easily freeze portions of tortilla for later. If you don’t trust your pie maker to be non-stick, you may want to grease first. But otherwise it is a case of pouring the mixture into the pie moulds, closing the lid and then flipping when it is golden underneath. These tasty fritters are a bit of a runny mix. Simply spoon or pour the mix into the base of the pie maker and let it cook. Flip when golden and repeat with the rest of the mix. When cooked, drown the fritters in the most delicious Ranch Sauce you will ever taste and enjoy a tasty meal. 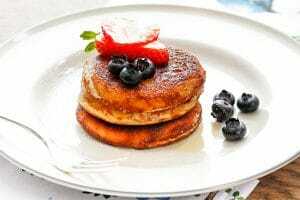 Another great recipe to cook in the pie maker is the Almond Pancakes. Dairy free and grain free, these delicious pancakes really need a non-stick surface. Sometimes your fry pans just aren’t non-stick enough, so you can turn to your other non-stick appliances such as the sandwich press or pie maker. Once again, take advantage of the perfect circles to create even servings of the pancakes. You will need to flip the pancakes when ready. Quiches are one of the easiest things to make in your pie maker. 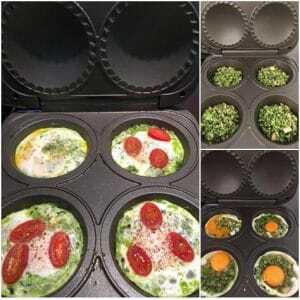 You can add other ingredients in with an egg like in the Quick Big Breakfasts. Some people like to add a piece of bread on the bottom as a base or even grated potato / grated sweet potato. I like to add some extra baby spinach or maybe some leftover roasted vegetables into mine. Hopefully some of these ideas have inspired you to use your pie maker for good (as well as evil!). 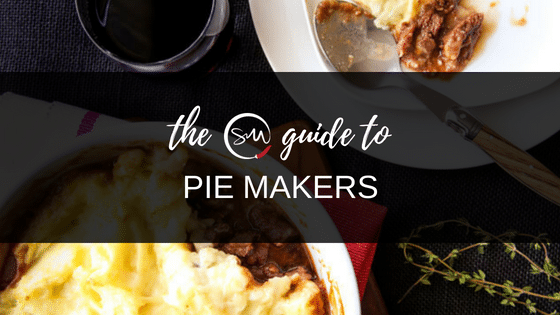 What do you cook in your pie maker? This is such an awesome resource! Thank you! What a great list!!! Love the idea for single serve Tortilla de patata’s!!! Thanks for going to the effort….now all I need is the pie maker!!! OMG this list is awesome. I had never thought of using the pie maker for anything else but pies look out pie maker here I come. I can believe your little man is 6 where did the time go! Sian, I can’t beleive your turdler is 6. I must have been a skinny mixer for years!!! I always enjoy your posts Sian but this compilation is excellent – so inspiring especially as the weather has suddenly turned colder. What a good excuse for getting getting out the pie maker! Thank you for this list Sian. I have used the http://skinnymixers.com.au/skinnymixers-slow-cooked-mexican-beef/ as a pie filling and it worked very well.